Pip Edwards always gets it right (case in point: our launch event last week) and the Cox Plate racing event on Saturday was no exception. 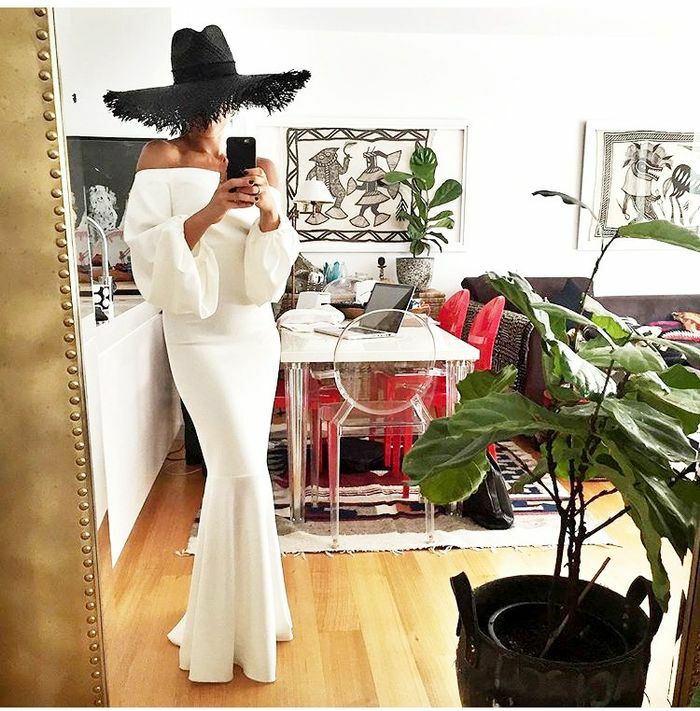 In a white, floor-length Camilla and Marc gown, the off-the-shoulder fishtail dress was a daring look for a day-time event but Edwards makes it work. Low-key accessories (who else is adding a giant straw hat to their wish list?) and a simple zip clutch dress it down perfectly. The Silent Fall Dress isn’t in store just yet but keep your eyes peeled—it’ll be available in the coming weeks. Keep scrolling for a closer look at the outfit and to shop Pip’s look. What do you love about Pip's look? Share your thoughts in the comments below!